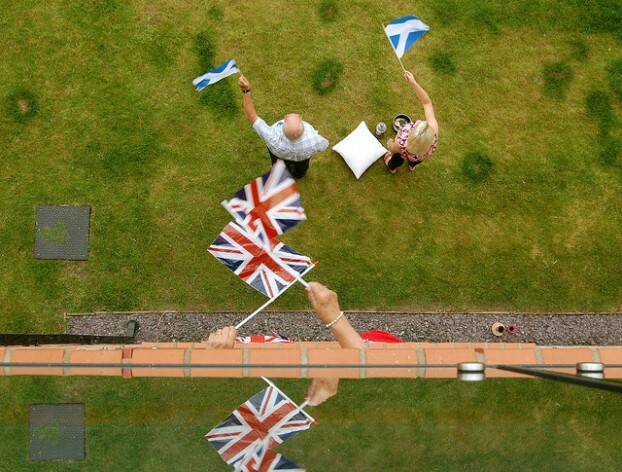 ROME, Sep 16 2014 (IPS) - After a two-year referendum campaign, Scots are finally voting Thursday on whether their country will regain its independence after more than 300 years of “marriage” with England. It is still uncertain whether those in favour will win the day, but whichever way the wind blows, things are unlikely to be the same – and not just in terms of political relations between London and Edinburgh. If an independent Scotland were actually to abolish nuclear weapons from its territory, the government of what remains of today’s United Kingdom would be forced to look elsewhere for places in which to host its sea-based nuclear warheads – and this will be no easy task. One bone of contention between Scots and their “cousins” to the south of Hadrian’s Wall – built by the Romans to protect their conquests in what is now England and, according to Emperor Hadrian’s biographer, “to separate the Romans from the barbarians” to the north – is the presence on Scottish territory of part of the United Kingdom’s nuclear arsenal. The Scottish National Party (SNP), which supports an independent and non-nuclear Scotland, wants Scotland to become a member of the North Atlantic Treaty Organisation (NATO) and the European Union, but rejects nuclear weapons. The United Kingdom currently has four Vanguard class submarines armed with nuclear-tipped Trident missiles based at Gare Loch on the west coast of Scotland, ostensibly there for the purpose of deterrence – but that was back in the days of the Cold War. The search would be on for another deep-water port or ports, and the UK government has already said that other potential locations in England are unacceptable because they are too close to populated areas – although that has not stopped it from placing some of its nuclear submarines and their deadly cargo not far from Glasgow since 1969. In any case, if those in favour of Scottish independence win, just the possibility that Scotland might even begin to consider the abolition of nuclear arms would oblige the UK government to give the nature of its commitment to nuclear weapons a major rethink. The same would be true even if those in favour of remaining part of the United Kingdom win because there would still be a not insignificant number of Scots against nuclear weapons. Either scenario indicates that Scotland could come to play a significant role in discussions on nuclear disarmament although, clearly, this role would be all the more important as an independent nation participating in NATO, following in the footsteps of NATO member countries like Canada, Lithuania and Norway which do not allow nuclear weapons on their territory. And what could come of NATO initiatives such as that taken at its summit in Wales earlier this month to create a new 4,000 strong rapid reaction force for initial deployment in the Baltics? An independent Scotland could raise its voice in favour of prohibiting nuclear weapons at the global level and add to the lobby against the threats posed by the irresponsible arms brandishing of NATO. Representatives of the SNP have said that they are ready to take an active part in humanitarian initiatives on nuclear weapons and support negotiations on an international treaty to prohibit – and not just limit the proliferation of – nuclear weapons, even without the participation of states in possession of such weapons. What justification would then remain for these states? Meanwhile, as Scots go to vote in their independence referendum, there is another aspect of the nuclear issue that the UK government still has to come to terms with – nuclear energy. Scotland used to be home to six nuclear power stations. Four were closed between 1990 and 2004, but two still remain – the Hunterston B power station in North Ayrshire and the Torness power station in East Lothian – both of which are run by EDF Energy, a company with its headquarters in London. A YouGov public opinion poll in 2013 showed that Scots are twice as likely to favour wind power over nuclear or shale gas. Over six in 10 (62 percent) people in Scotland said they would support large-scale wind projects in their local area, well more than double the number who said they would be in favour of shale gas (24 percent) and almost twice as many as for nuclear facilities (32 percent). Hydropower was the most popular energy source for large-scale projects in Scotland, with an overwhelming majority (80 percent) in favour. So, with a strong current among Scots in favour of ‘non-nuclear’, whatever the outcome of Thursday’s referendum, London would be well-advised that the “barbarians” to its north could teach a lesson or two in a civilised approach to 21st century coexistence.